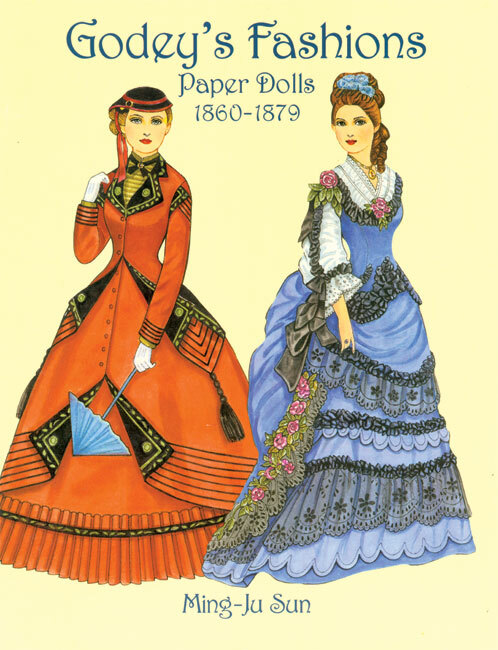 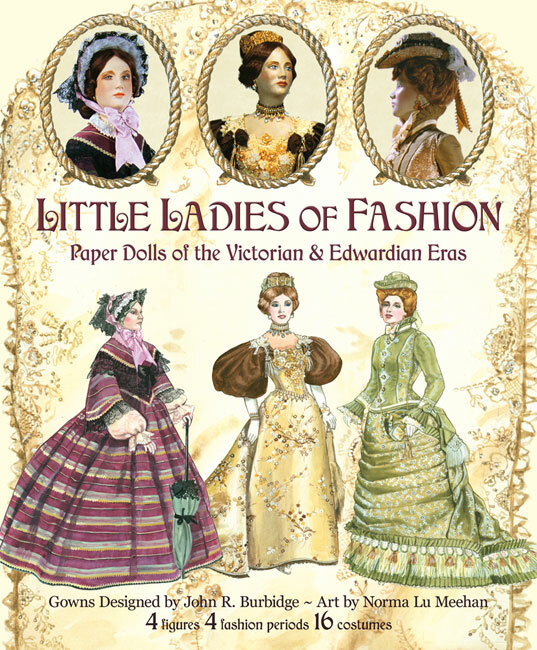 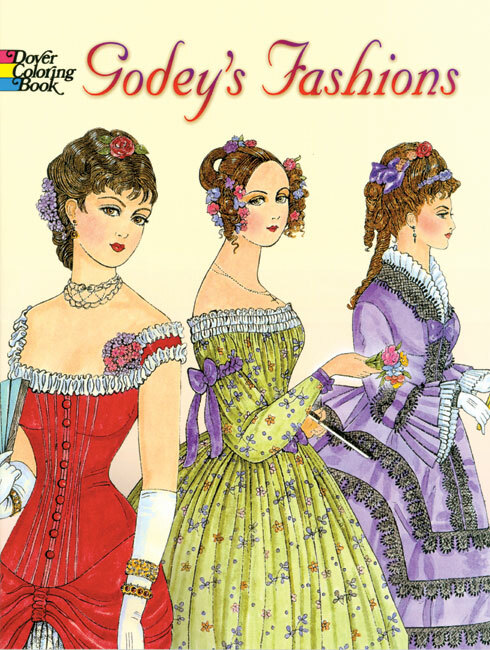 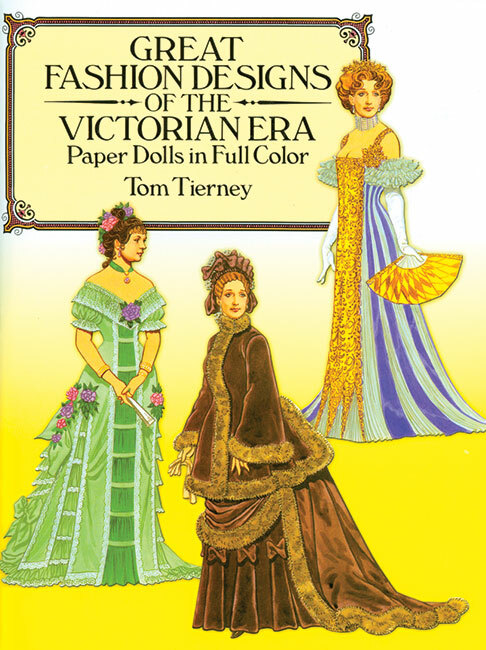 Victorian paper dolls, coloring books and activity books featuring the ornate fashions, furnishings and architecture of the mid 1800s to the turn of the century. 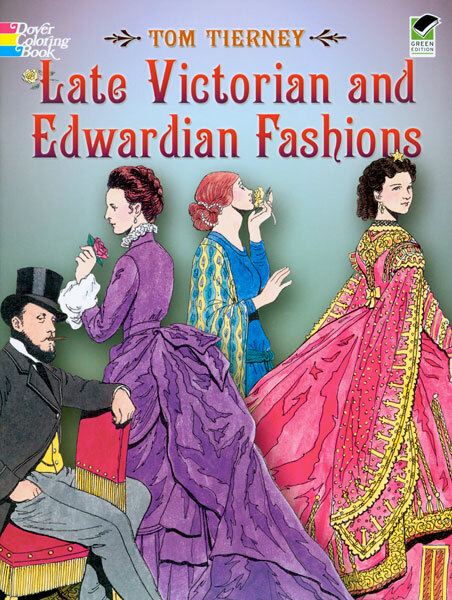 Mid-Victorian fashions including elegant evening dresses, bridal gowns and daytime wear. 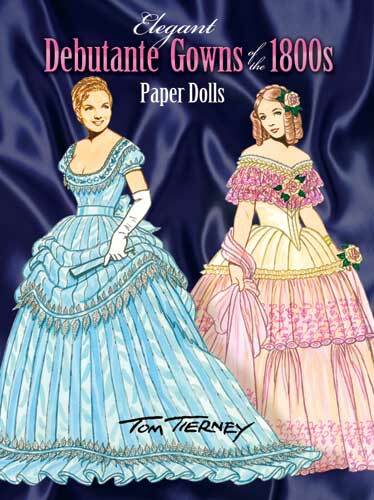 2 dolls and 16 nicely illustrated costumes by Ming-Ju Sun. 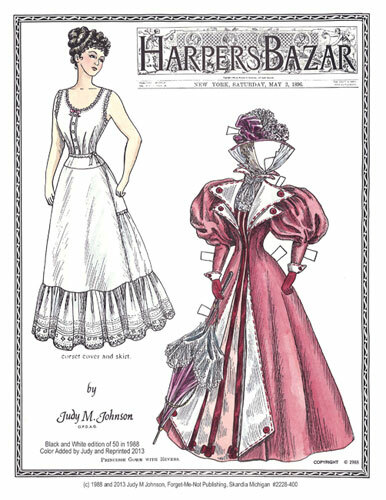 Fancy fashions from the pages of Harper’s Bazar, May 1896. 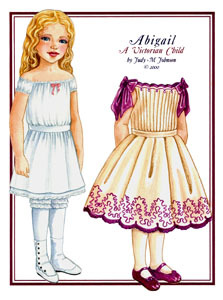 By Judy M Johnson. 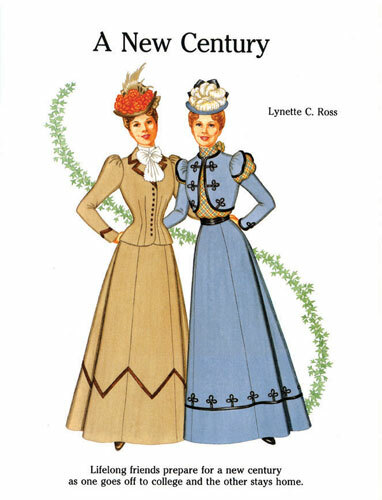 2-page set. 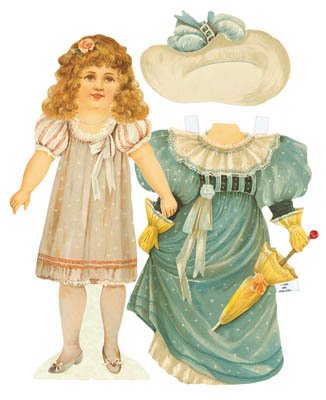 Gorgeous Victorian paper doll with four embossed dresses plus fancy hats. 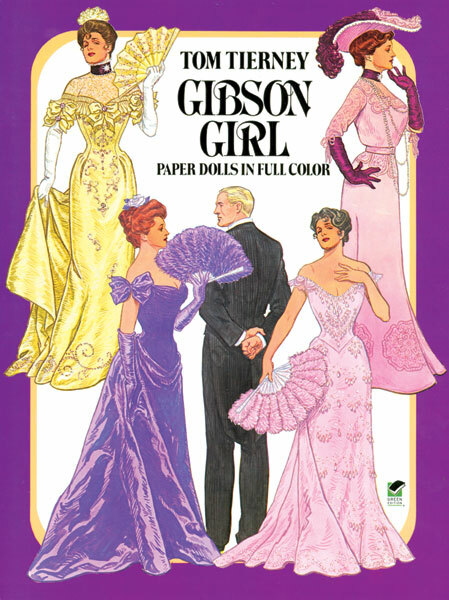 All items are die-cut and ready for play! 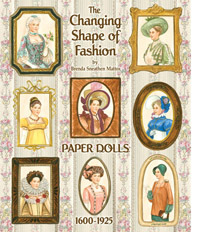 Doll is approximately 13” high.